premium services in your budget. With continuous usage, every electronic device begins to malfunction and Samsung Note 5 is no exception. We have given special training to our experts to handle Samsung device with utmost care. Giving you clarity about the malfunctioning in your device is our responsibility. We never fail to discuss the issues that cause your device to malfunction. 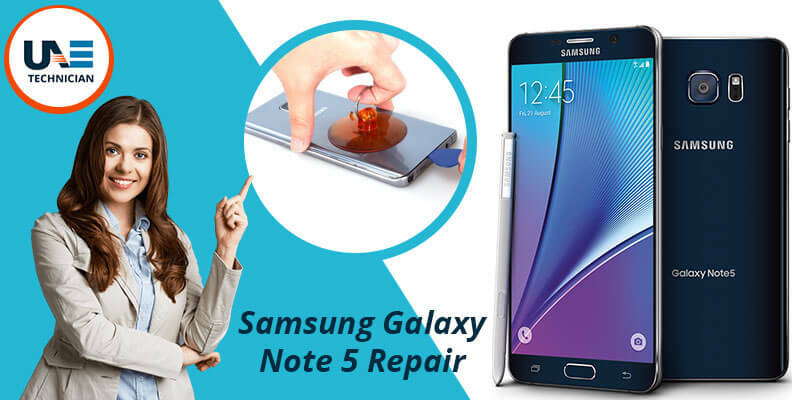 Call us at our helpline number: Samsung Galaxy Note 5 Repair in Dubai is just a call away! expect an instant reply from our end. If our services are helpful to you, please share valuable feedback with us. Your opinion matters to us because it gives us clarity about the quality of our work.